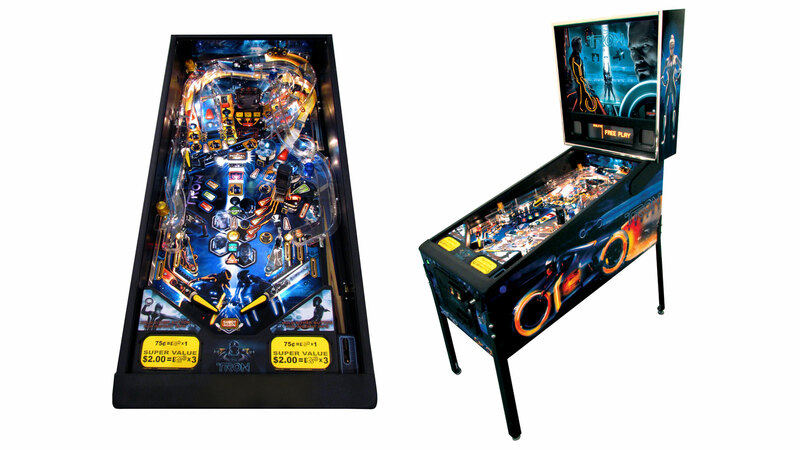 To the dedicated pinball enthusiast, the existence of a Tron: Legacy pinball table won't be a surprise. But Stern Pinball, the company still cranking out pins, made its latest pinball machine extra official today with word from Disney. Tron Legacy pinball, based on last year's sequel to the 1982 video game-inspired original, is now available for purchase if you've got the considerable scratch required to own a modern day machine. (Expect to see it shipping wider in June.) This one's designed by John Borg, who pinball fans may know from his work at Data East (Star Wars, Guns 'n Roses) and Stern (Avatar, Iron Man), with art by John Youssi. Owning a Tron Legacy pinball table for yourself will set you back a few grand - in excess of $US4500, as seen at some distributors - with a limited edition release setting you back even more. Click on the above image for a detailed look at the playfield. More details on that limited edition version over at Stern's Facebook page.